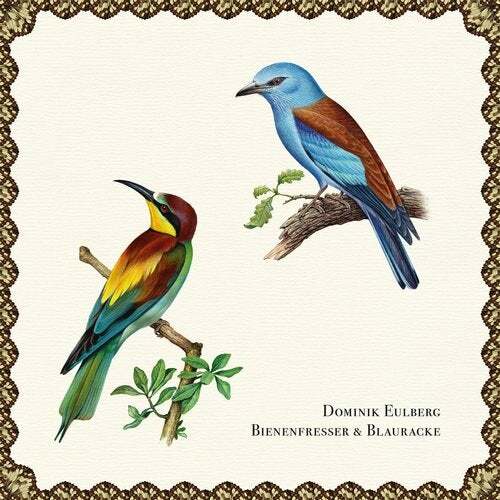 Various creatures of the native flora and fauna are interpreted musically on Dominik Eulbergs label Apus apus. The music pieces are thoughtfully presented with 2 tracks per EP. he bee-eater is the most colorful bird of our native lands; a quality which is echoed through the piece of the same name. The composition oscillates from one color into another without losing its significant habitus. It is a musical journey through the color scheme of the bee-eater, through which Dominik Eulberg takes us by way of his iconic style. He succeeds at a striking balancing act between sensitive subtlety and steady pressure, in order to offer us a satisfying share of hedonism. It is a piece of music that provides an intimate listening experience, while simultaneously supplying listeners with a collective, mobilizing anthem. The long introduction of the track emulates the agile flight for prey of the dazzling bird, but then it fervently taps out the stinger of the captured bee, and finally nothing can stand in the way of the massiveness of the celebratory bass drum. Intrepid, yet with a high degree of ataraxia, Dominik leads us through the skies on an expedition into the colorful land of the bee-eater. The magnificent turquoise blue plumage of the blue roller glimmers green or blue, depending on the quality of light. These colors, translated into worlds of sound, are reflected in this piece of the same name. Sparkling melodies intertwine gracefully along musical chains, and create a constant redefinition of the theme. The piece is inviting and catchy in the typical Eulbergian manner; submerging into the auditory tract and manifesting itself with much elegy in the deepest cortex. The blue roller is a sit-and-wait hunter at first occupied with idleness, until finally capturing its anticipated prey. This imperturbable serenity is felt in this piece of music and illustrates Eulberg's many years of knowledge and experience. He steers his audiences through the true essence of music, while always keeping both hands firmly on the wheel.